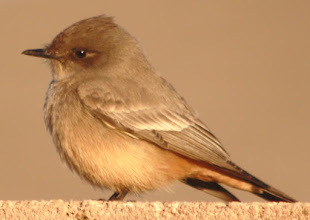 The Mockingbird outside my window, the lizard creeping down the tree, the dog sleeping in my arms—every blessed little creature that I see inspires me and brings me joy. 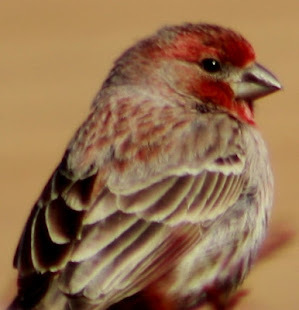 I've seen bold, beautiful male cardinals pluck tiny seeds from a dish and feed them to their children, and baby raccoons, smaller than house cats, wrestle, play, then kiss their mother on the nose. 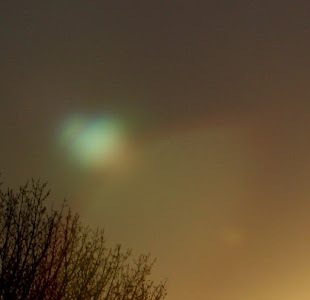 I watch, listen, photograph and marvel at these precious gifts from God, then I write about them here. Cormorant at Greeley's Veteran's Park in Sherwood. Photo by Darla Sue Dollman. My two oldest grandchildren and I had a wonderful surprise while visitng the park recently. None of us had ever seen a Cormorant before other than in pictures, and there was five or six of them in the lake! There are approximately 40 species of cormorants, and we were blessed to have a small flock at Bittersweet, our local park in Greeley, Colorado. When I first saw them drifting across the lake I thought they were the strangest gathering of ducks I'd ever seen. 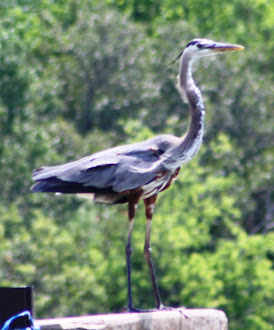 The Cornell Lab of Ornithology website describes them as "gangly" and "prehistoric looking," and I'd say that's an accurate description. I was watching them from a distance, so I still thought they were ducks. It wasn't until one flew into a nearby tree that I realized they were not ducks at all. The flight into the tree was odd, as well. 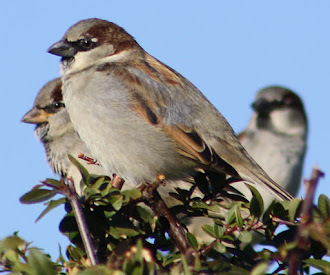 The bird chose a tall three with then branches that bent beneath its weight and swung back and forth in the breeze. 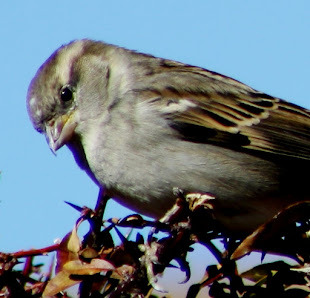 If I was a bird that size I would have chosen a much larger, sturdier branch, but this bird was perfectly content to sit at the very top of this thin-branched tree, perhaps because it provided the bird with a better view of the neighborhood. Cormorant. Photo by Darla Sue Dollman. 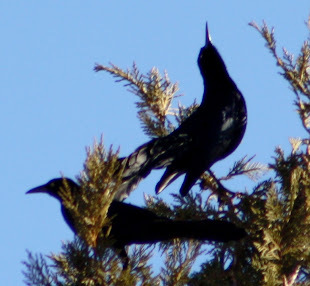 Judging from the photos, I believe these birds were Double-Crested Cormorants. 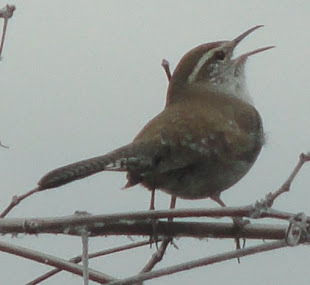 They have a wingspan of approximately 3 1/2 feet--not quite the width of a hawk or eagle, which may explain why I thought they were ducks in spite of their size. They looked dark. Actually, I thought they were large, black birds. 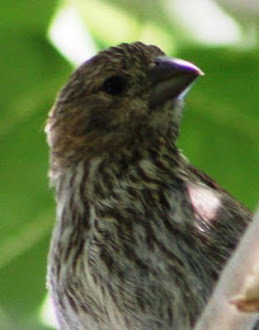 When one flew into a tree and I was able to see it up close I realized it was actually wearing some fine, fancy feathers! 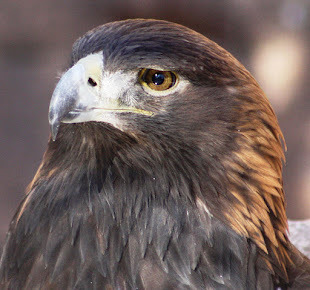 It had orange on its face, too, and shimmering blue eyes. Cormorants in Greeley, Colorado. Photo by Darla Sue Dollman. It's possible they were looking for a nesting spot. It is that time of year! Cormorants also have an interesting home life. According to The Cornell Lab of Ornithology, Double-crested Cormorants often build their nests where they can reach direct sunlight. 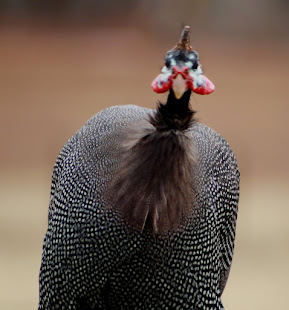 When the chicks break out of their eggs, the parents provide them with shade and a cool drink of wather that they pour from their own mouths into the mouths of their chicks. Then, when the chicks are big enough to leave home, they hang out in groups, like little cormorant chick cliques, but they always return home for dinner, though. Cormorant taking off across the water. Photo by Darla Sue Dollman. "Double-Crested Cormorants." Cornell Lab of Ornithology. 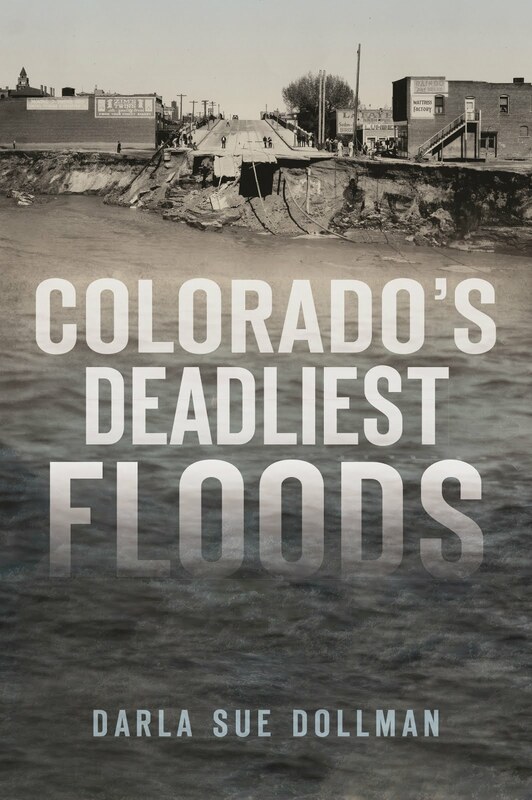 Accessed June 12, 2018. Layla Lou our rescued bunny kissing noses with Chewy our rescued Chihuahua. 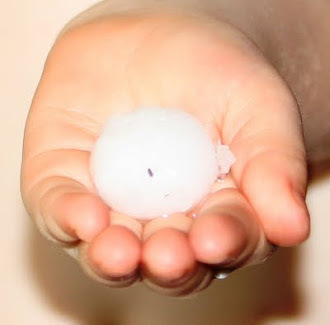 Where do the birds go in a hailstorm? 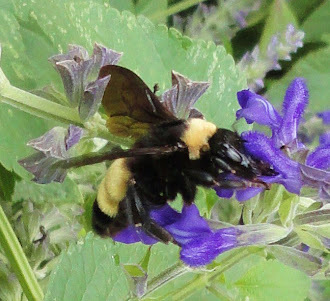 Praying Mantis, the Baby Blue Mystery Bug, Orb Weavers and Mud Daubers--What's for Dinner? 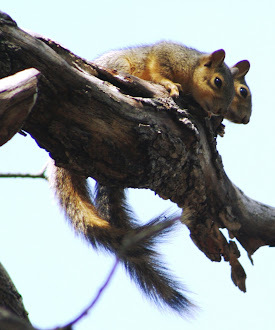 Baby squirrel on a tree limb. According to Coren's research, all infants dream more than adults. 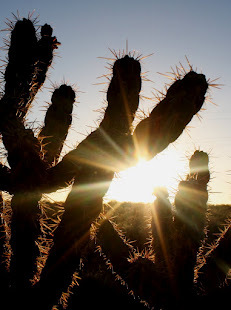 Cholla at sunset in Rio Rancho, New Mexico. Image by Darla Sue Dollman. Buddy and Holly when they were puppies in Colorado. 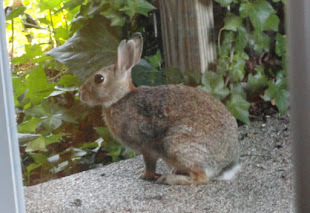 This hare liked to spend its evenings on our bedroom patio in Texas. The bedroom patio rabbit in Texas. 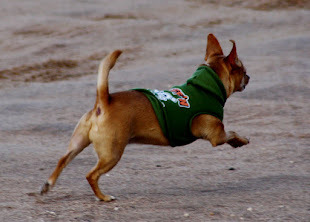 Superchew wearing his hoodie and chasing after the big dogs. His hoodie says "Ruff-N-Tuff!" Chewy, AKA Chewchewcabra. We found Chewy abandoned on our property during a fierce thunderstorm. 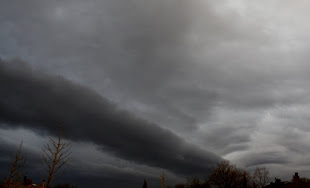 Roll Cloud over the New Mexico valley--note the clouds to the lower right indicating movement..
Iridescence seen through a thin layer of dust as the sun is setting. 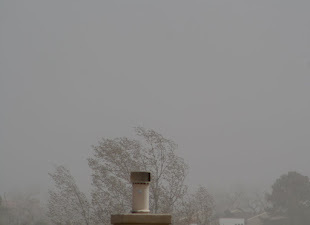 Dust storm over the valley--the Sandia Mountains are completely obscured by the dust. 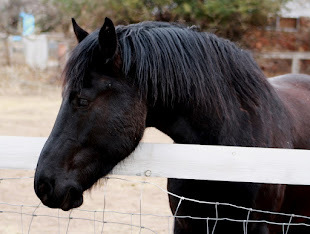 Friendly Texas horse who stopped to say "Howdy Ya'all!" Beautiful new bird joining our family. Handsome fella sitting in the bird feeder. 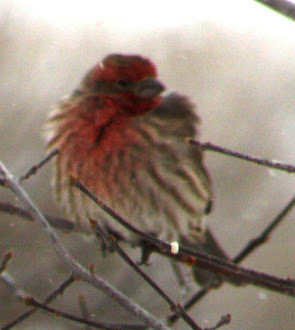 Newcomer to the backyard feeders with a tangerine-striped head and a tuft of a beard. 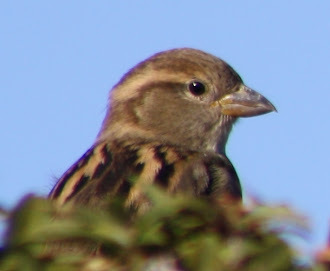 Beautiful little bird posing for the camera. 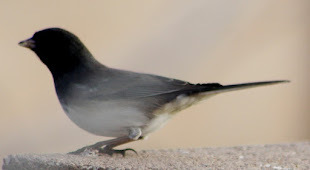 Dark-Eyed Junco sitting beside me on the wall. 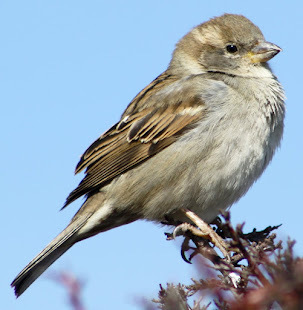 Fluffing up like a feather ball creates pockets of warm air to comfort the bird. 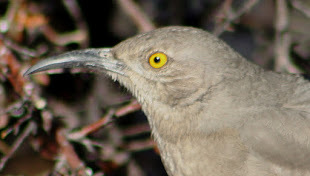 Curve-Billed Thrasher in my backyard. 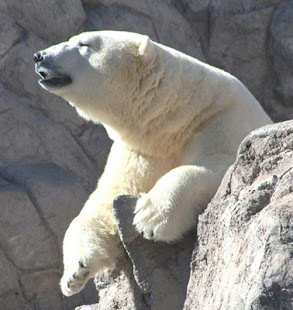 "The emancipation of men from cruelty and injustice will bring with it in due course the emancipation of animals also. The two reforms are inseparably connected, and neither can be fully realized alone." 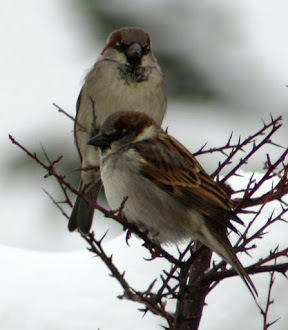 "We have learned to fly the air like birds, and swim the sea like fish, but we have not yet learned the simple art of living together as brothers." 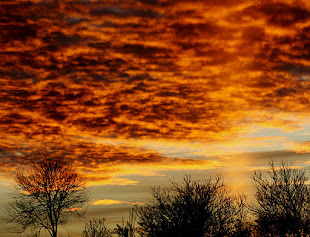 Sun pillar in New Mexico sunset. 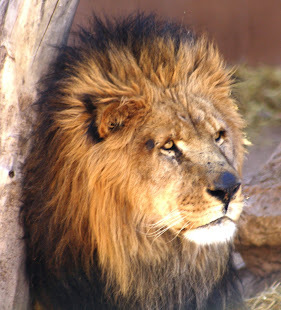 Lion walking around, being noisy! "It's beginning to look a lot like Christmas, Sweetheart." 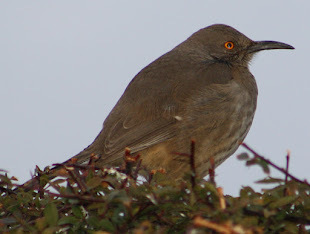 Thrasher on the back wall by the seed dish. Dove on the back wall. Photograph of Buddy, the compassionate chocolate lab and Chewy the chihuahua by Darla Sue Dollman. 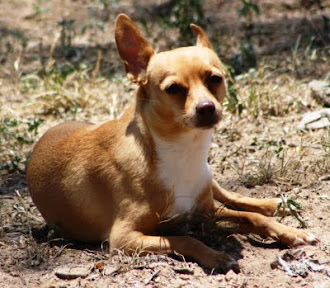 We let the dogs out in the backyard, came inside, and prepared for bed, but I could not find Chewy the chihuahua! Buddy was whining at the door. That's when I realized Chewy was accidentally left outside! When we let Chewy in, he jumped on the bed and Buddy and Chewy kept "hugging" each other. 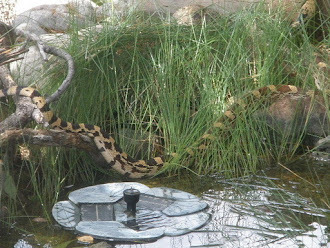 Eastern Diamondback Rattlesnake in Texas where they are tortured for entertainment. 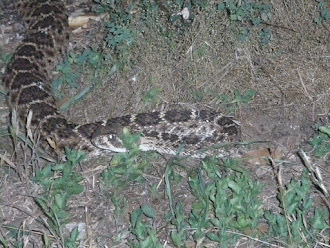 Bull snake in Kingsland, Texas. Snakes are often used as props for parties and shows. 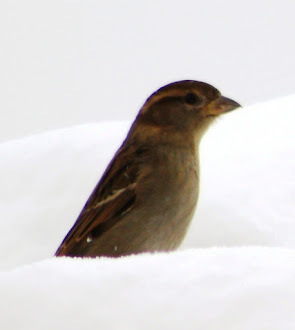 Tiny bird in the snow. 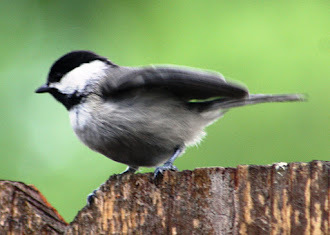 Photograph of black-capped chickadee playing in my backyard. Vultures in Kingsland, Texas watching the setting sun. 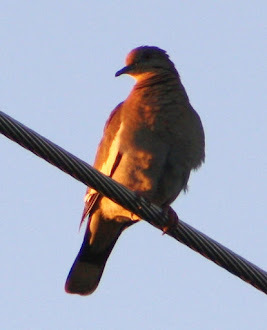 White winged dove watching the sun set. 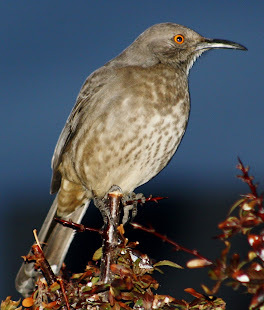 Mrs. Thrasher who lived in the shrubs in my yard. 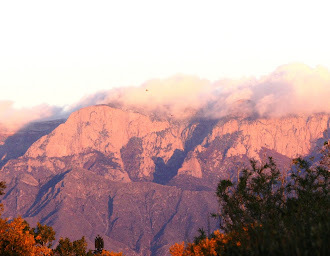 Veiw from my backyard of the Sandia Mountains at sunset. 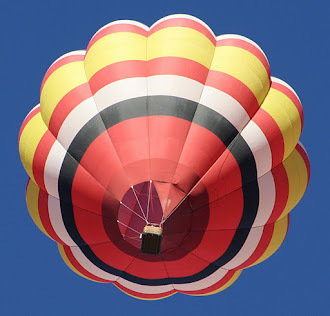 Hot air balloon floating above our home. Photograph of White Winged Dove--clearly different from the brown dove. 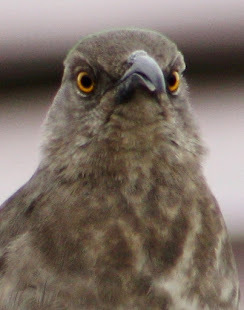 Photograph of dark brown dove in Burnet County, Texas, taken September, 2011. Female cardinal in front tree waiting for a turn at the seed tray. 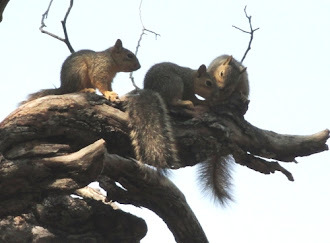 Photograph of baby squirrels in Marble Falls, Texas. 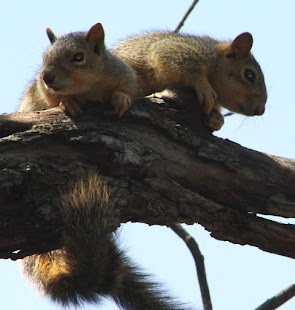 Photograph of Momma and baby squirrels in Marble Falls, Texas. 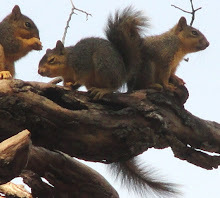 Three of the four babies living with their momma inside of the dead tree in our back yard. Baby squirrel posing for the camera. Do not try to use this photo without his permission--he does check the internet regularly and charges a fee for the use of his squirrelly image. 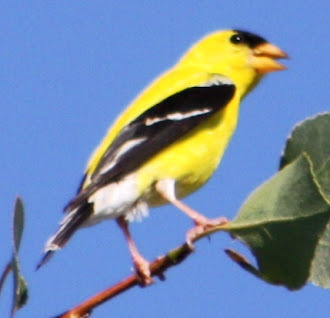 American Goldfinch watching my grandchildren from the tree next door. 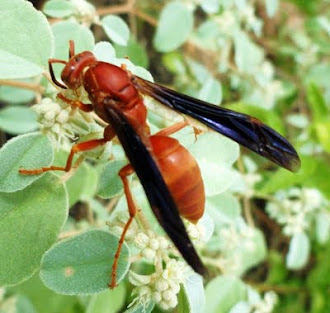 Photograph of wasp by Darla Sue Dollman. 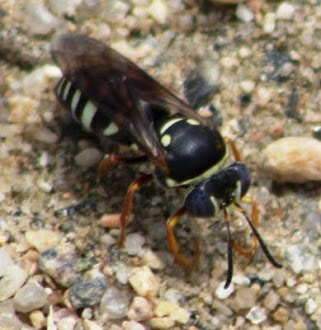 Photograph of wasp covering hole back up. 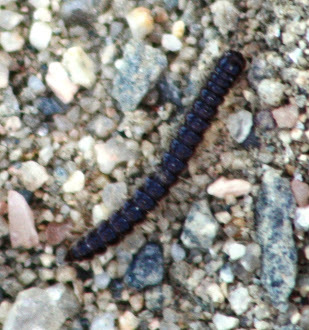 Reddish-brown creature at the park. 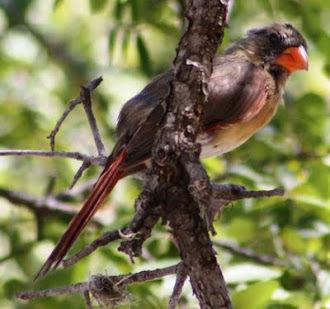 Photograph of father Northern Cardinal feeding one of the babies in Marble Falls, Texas. 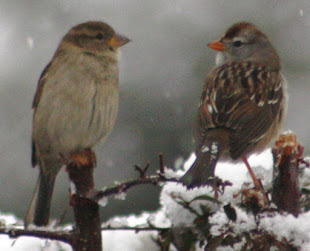 Photograph of mother Northern Cardinal feeding her baby. Photo taken through a window. 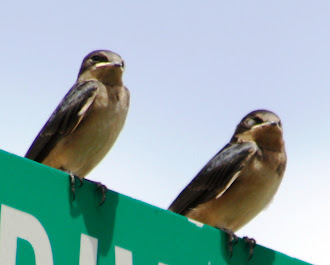 Baby Swallows waiting patiently for breakfast in Loveland, Colorado. 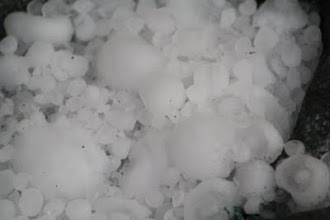 Photograph of hail in door jamb, July 14, 2011, Loveland, CO. 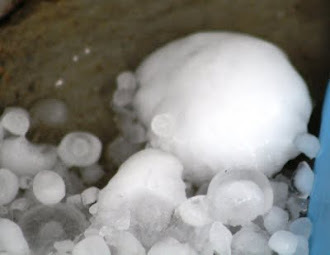 Photograph of hail ball by back door. Notice smaller pieces on sides. July 14, 2011. 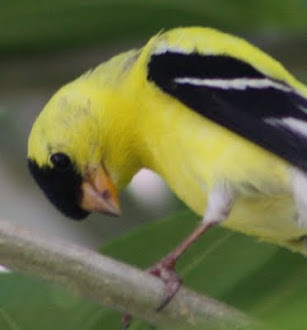 Photograph of American Goldfinch watching my granddaughter. 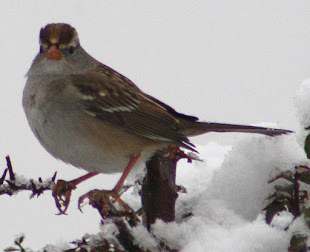 Photograph of mysterious brown bird in neighbor's tree. 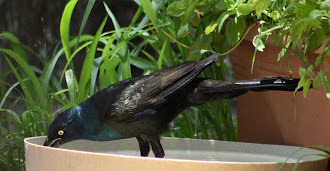 Common Grackle fishing for bugs in the bird bath in Marble Falls, Texas. 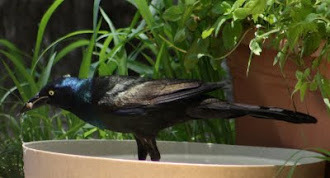 Common Grackle with bug it caught in the bird bath in Marble Falls, Texas. 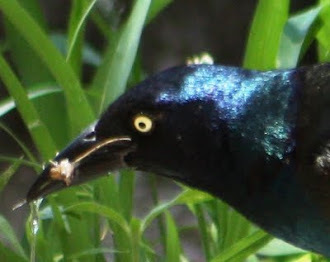 Common Grackle with its bug lunch in Marble Falls, Texas. 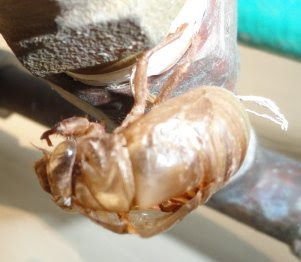 Photograph of cicada exoskeleton by Darla Sue Dollman. In this photo, you can see the split down the back of the exoskeleton where the cicada emerges. The more I look at this photo, the more I suspect the Cicada might still have been inside the exoskeleton. .
Where Does Being Selfish Get You? 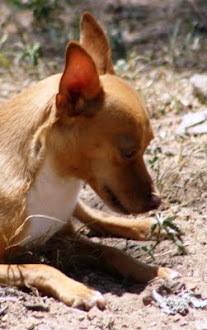 Chewy the chewchewcabra hunting bugs. 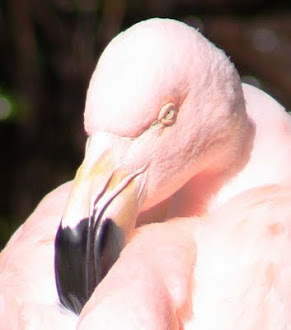 Photograph of Flamingo by Darla Sue Dollman. 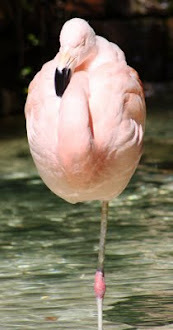 Flamingo at the Marriott Resort in Marble Falls, Texas. Pink flamingo at the Marriott Resort in Marble Falls, Texas. Notice the leg tucked underneath. 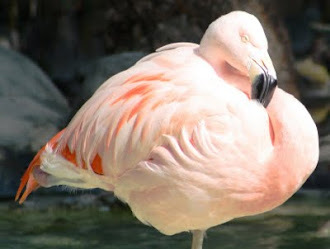 Pink flamingo in the botanical garden at the Marriott Resort in Marble Falls, Texas. 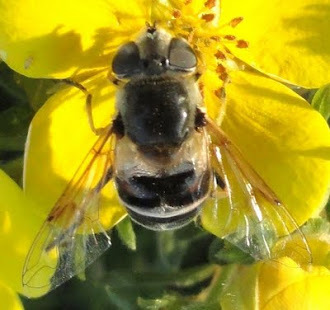 Photograph of bee on flower in Loveland, Colorado. Photograph of Niblet Black Fang Boo Boo Kitty after his shave, but still showing his fangs and looking very scary! 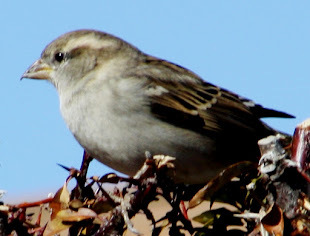 Mockingbird that bowed her head as if in prayer. 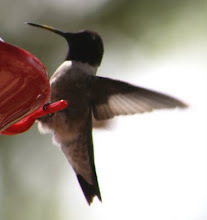 Hummingbird in Marble Falls, Texas. 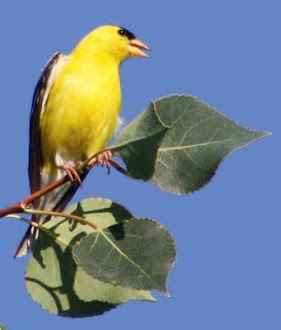 Notice the yellow on its beak? 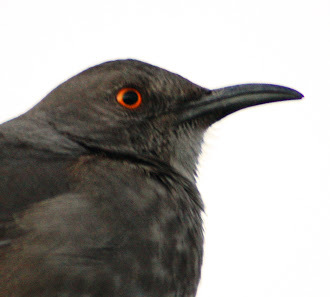 It also has a violet-colored throat! Scissor-Tailed Flycatcher on the telephone wire--notice the exceptionally long tail. 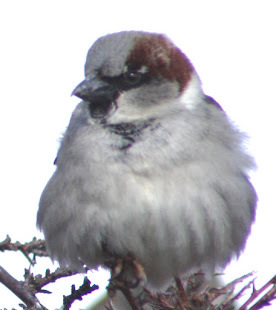 The tail tells you this is an older, more mature bird. I think they prefer to sit on telephone wires because it's easier to maneuver with those long tails! Heron by the river, still wet, and battered by the wind. "I've been studying foreign languages. Meow. Bark bark. Moo!" Juvenile Red Tail Hawk enjoying the scenery in Loveland, Colorado. Pronghorn Antelope near Wellington, Colorado. The baby lizard I rescued from the pond. Photograph of Scrub Jay by Darla Sue Dollman. 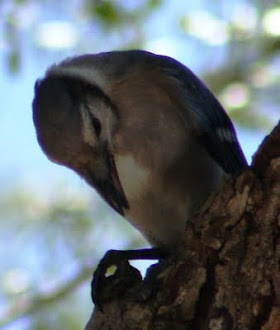 Scrub Jay bowing its head in prayer. 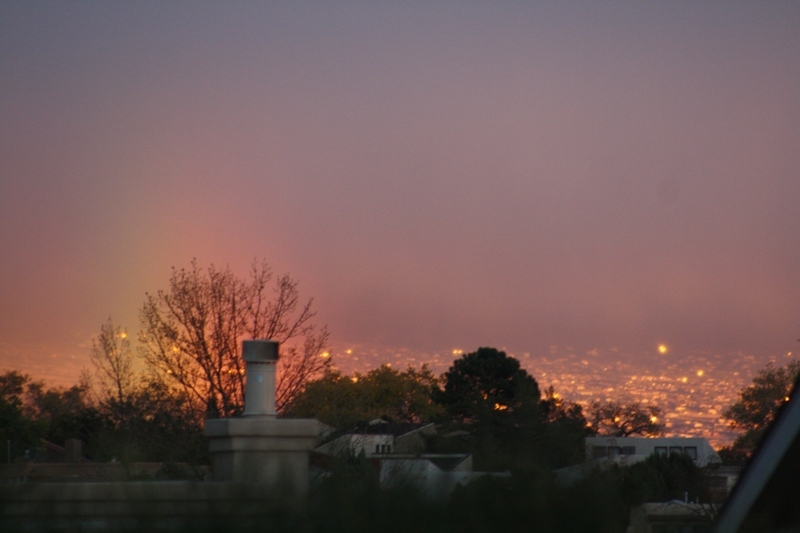 Rain and rainbow over Rio Rancho, New Mexico, the view to the east. 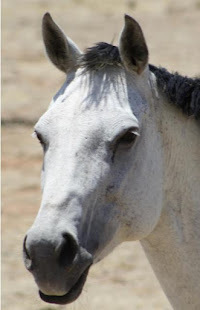 All blog posts, writing and photographs on this page are copyrighted by Darla Sue Dollman. Awesome Inc. theme. Theme images by Nikada. Powered by Blogger.